KUALA LUMPUR, 17 July 2018 – Sime Darby Auto Connexion (SDAC), the sole distributor of Ford in Malaysia will introduce its first-of-a-kind experiential Ford Pop-Up store at Subang Parade, Subang Jaya, Selangor on 20 July before it embarks on a tour across Peninsular Malaysia. The Ford Pop-Up store is designed to offer consumers a unique opportunity to experience Ranger in a different environment beyond the traditional dealership. “The automotive retail environment has changed tremendously, shifting from a product-driven to a customer-centric approach where consumers are increasingly making purchase decisions based on experience. With our very first Ford Pop-Up store, we have created a different retail environment where consumers can discover a new reality that will change the way they shop for cars through immersive Virtual Reality, said Syed Ahmad Muzri Syed Faiz, managing director, Sime Darby Auto Connexion. The Ford Pop-Up store showcases a virtual reality (VR) section which will bring customers closer to Ranger and virtually experience two advanced driver-assist technologies – Forward Collison Alert and Lane Departure Warning and Assist. Forward Collison Alert warns drivers when it detects a high probability of a collision as well as pre-charges the brakes for enhanced stopping power, while Lane Departure Warning and Assist alerts drivers when the vehicle strays from its lane and helps guide the vehicle back into its lane if no action is taken to correct the drift. 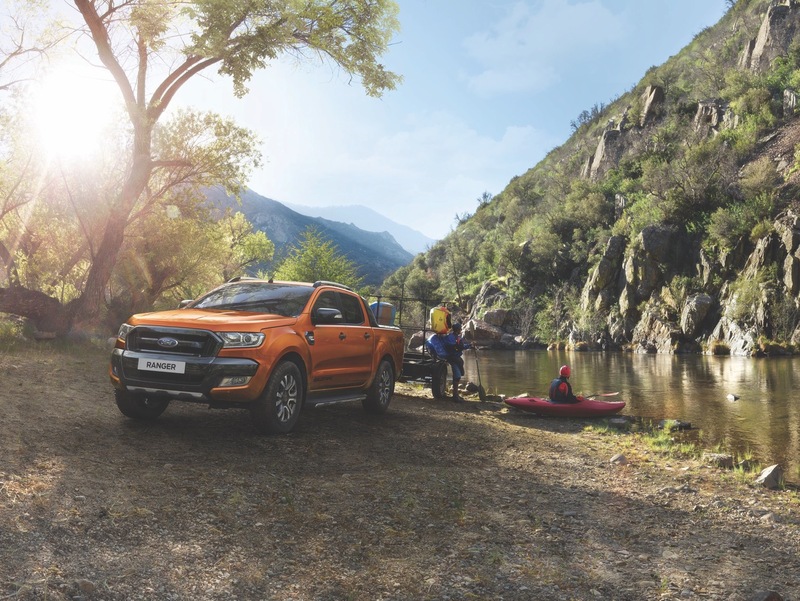 Consumers will also be able to learn more about the smart and safe technologies that has helped the Ranger continue to set industry benchmarks, win multiple accolades and retain its position as one of the best-selling pickup trucks in the market. For the latest updates on the Ford Pop-Up store or more information on Ford, visit SDAC’s multilingual website (www.sdacford.com.my), which also features a chatbot that is now available in three languages – English, Bahasa Malaysia and Simplified Chinese – to provide a better customer engagement experience. Ford Pop-Up store Schedule¹ - The schedule may be subject to change. SDAC reserves the right to revise the roadshow schedule should circumstances require. Updated information shall be reflected on the Ford Malaysia Facebook page accordingly. Sime Darby Auto Connexion (SDAC) is a wholly-owned subsidiary of Sime Darby Motors. In operation since April 2008 following a restructuring of Sime Darby’s motor business, SDAC has been the sole distributor for Ford in Malaysia and currently manages the brand exclusively in the various parts of the value chain such as importation, distribution and retail. Together with Ford, SDAC strives to address the current challenges faced by the automotive industry and endeavours to support and promote sustainability in the industry.